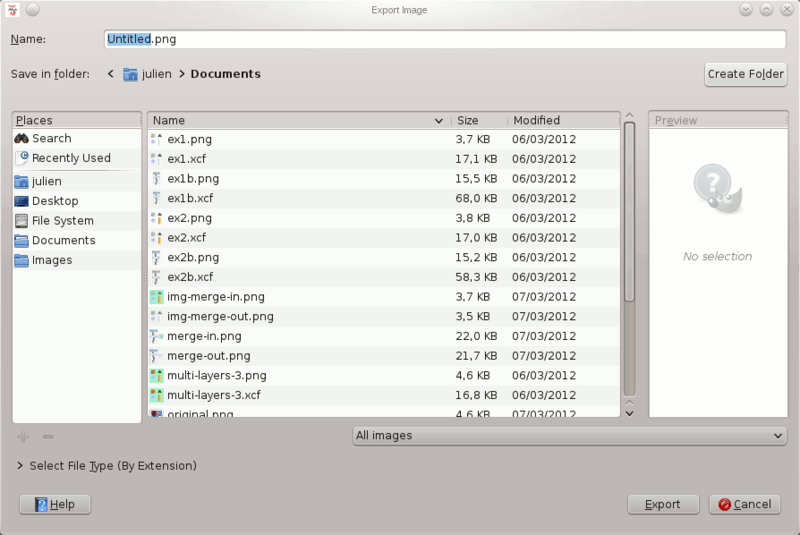 The Export As… command allows you to store your image in a format other than XCF. Please refer to Section 1, “Files” for information about exporting in different file formats. or by using the keyboard shortcut Shift+Ctrl+E.